You strive to make fresh and creative meals in your kitchen, so shouldn’t it look and feel fresh and creative? The team at ProSource® of Lee’s Summit is excited to partner with trade pros and their homeowner clients to find unique and innovative kitchen remodeling projects. Our seasoned kitchen specialists can help you find sensible and stylish solutions for your kitchen remodeling project that will provide your kitchen with that warm and inviting feeling that the best kitchens have. Whether you’re reimagining your Victorian-style home’s kitchen, or building an ultra-modern kitchen, you and your homeowner clients will love the selection of kitchen cabinets at ProSource of Lee’s Summit. Our specialists will help you find a material and finish that perfectly complements your kitchen’s aesthetic will providing valuable storage space. 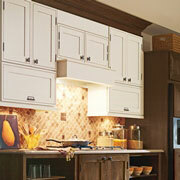 Knobs, handles, and pulls add a functional and fashionable element to your new kitchen cabinets. 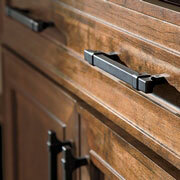 We offer hardware in a wide variety of finishes and appearances so you can find the perfect match for your cabinets. 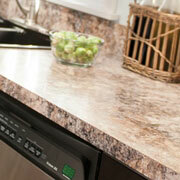 You can freshen up the appearance of your kitchen and help keep it clean by installing a new countertop. We offer beautiful countertops in granite and marble that are both timeless and functional, making it easier to clean up after cooking a big meal. ProSource has everything you need for a complete kitchen remodeling, and yes, that includes the kitchen sink! 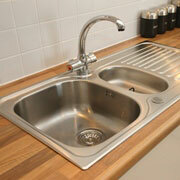 Find sinks made from a wide variety of materials and finishes that will bring your kitchen decor together. The best kitchen faucets blend together forward-thinking designs with everyday practicality. 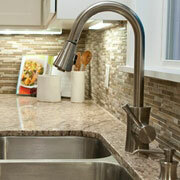 The kitchen faucets at ProSource of Lee’s Summit will help your kitchen remodel look as fabulous as you envisioned it. We proudly serve Lee's Summit, Blue Springs, Independence, Kansas City, and Raymore, Missouri. The ProSource of Lee’s Summit showroom is conveniently located in Lee’s Summit, Missouri and serves all of the neighboring cities including Adrian, Alma, Amoret, Amsterdam, Archie, Bates City, Belton, Blairstown, Blue Springs, Buckner, Butler, Camden, Camden Point, Cameron, Centerview, Chilhowee, Clarksdale, Cleveland, Concordia, Corder, Cowgill, Creighton, Dearborn, Dover, Drexel, East Lynne, Edgerton, Excelsior Springs, Farley, Foster, Freeman, Garden City, Gower, Grain Valley, Grandview, Greenwood, Hardin, Harrisonville, Henrietta, Higginsville, Holden, Holt, Independence, Kansas City, Kearney, Kidder, Kingston, Kingsville, Lathrop, Lawson, Lee’s Summit, Levasy, Lexington, Liberty, Lone Jack, Mayview, Missouri City, Mosby, Napoleon, Norborne, Oak Grove, Odessa, Orrick, Osborn, Peculiar, Platte City, Plattsburg, Pleasant Hill, Polo, Raymore, Rayville, Richmond, Riverside, Sibley, Smithville, Stet, Stewartsville, Strasburg, Trimble, Turney, Urich, Waldron, Warrensburg, Waverly, Wellington and Weston.